At Starbuds DU, they will exceed your expectations with our high quality medical marijuana & recreational Marijuana grown in our own local gardens. They strive to ensure your satisfaction in a variety of products from local growers and medical marijuana vendors. Denver’s favorite recreational marijuana stores. As a leading recreational cannabis store, we take pride in providing our customers with the highest quality products available at the most affordable prices. They understand our audience and we know how important the right blends and flavors are, and that is why they always make sure that we only provide the best products for all visitors. 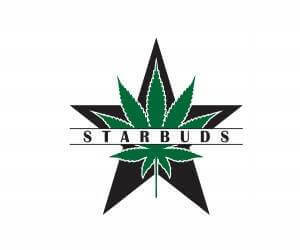 Starbuds DU is proud in being able to supplying you with the best cannabis products from flowers, concentrates, & edibles along with any kind of smoking accessories your heart could possibly desire!. With 7 locations in Colorado. So, visit any one of the fine establishments and see what deals we may have going that day! Our highly specialized staff is always happy to help customers learn more about what we offer. They can walk you through the available products and even share details about the operations and strains available. You can learn everything that you may have wanted to know about how a dispensary works when you call us, and our experts are always polite and courteous when it comes to discussing the finer details of our craft. Seems to have some kind of a deal going, so make sure to check us out and get your smoke on, edible, or which ever you prefer! Whether you are a local or a visitor just passing through, stop by and take a peak at one of the stores, you’re bound to find something to suit your 420 needs, wants, or desires! great buds here, the tenders know their stuff. Got to get some Golden Goat from here, yes you must. I did, wow.